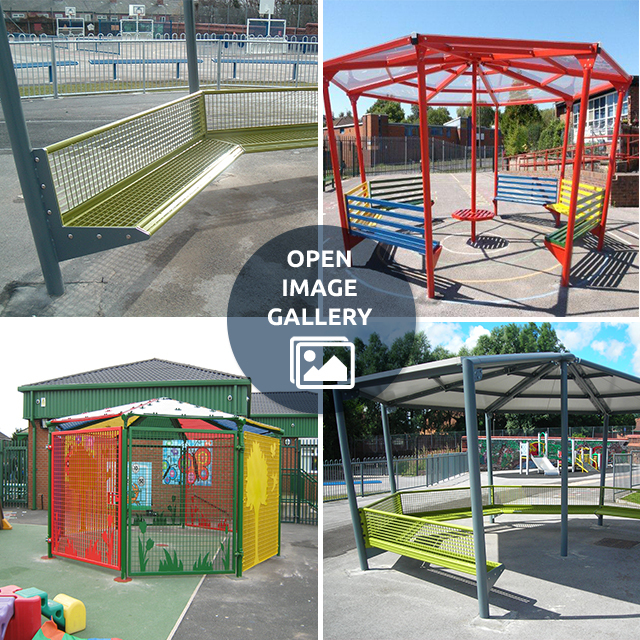 Bailey Streetscene have a number of quality playground designers meaning that bespoke in-house capacity playground shelters and canopies can be tailor made to provide your school with the perfect outdoor shelter solution. Children are kept safe, dry and protected from the sun due to the roofing panels which filter out harmful UV sunlight, protecting them all year long. 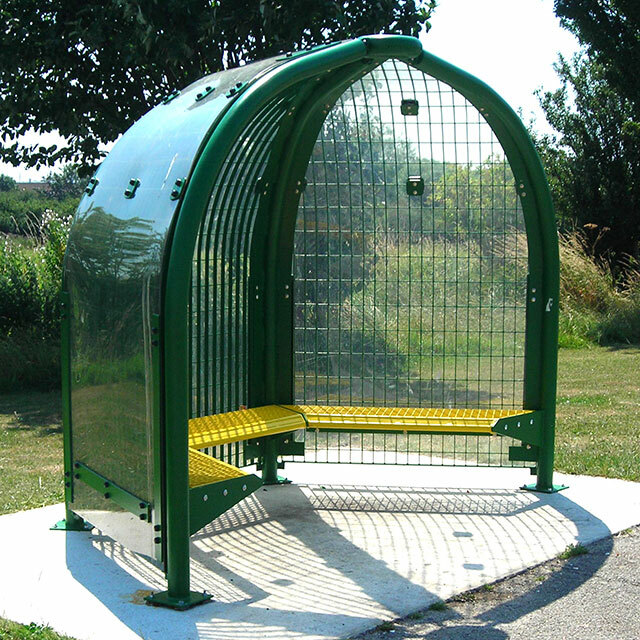 All our shelters and canopies are designed to allow full visibility, avoiding unwanted potential hiding places. 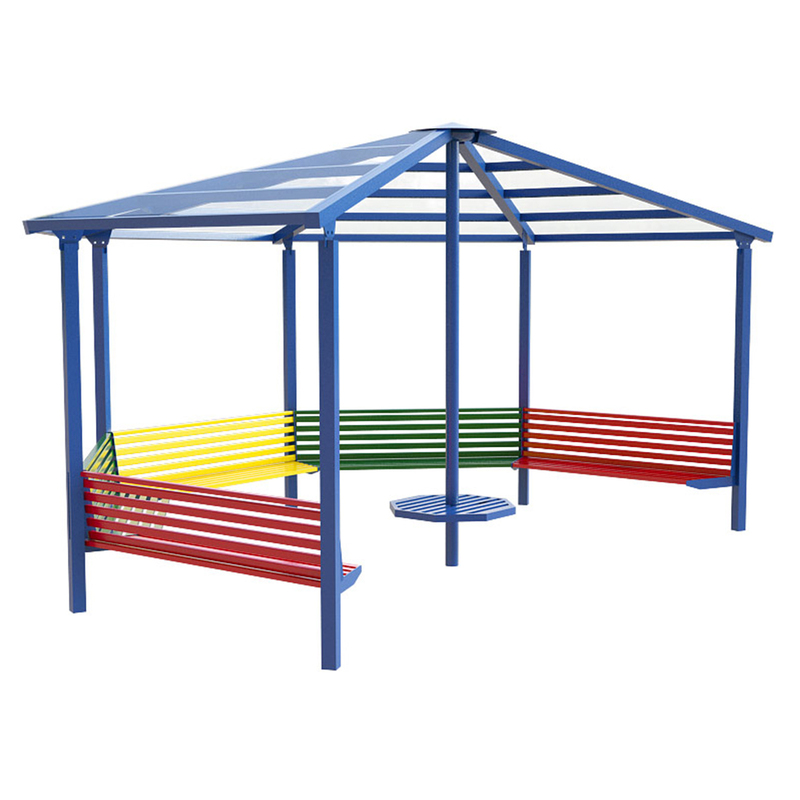 Outdoor classrooms for play and curriculum work can be designed with the provision of roller shutter doors and panels fitted to basic canopies providing the ultimate flexibility of a warm and pleasant classroom protected against inclement weather and a fresh air environment when the weather allows during school time. After-school time with the shutters closed and locked, the area becomes part of a secure establishment. 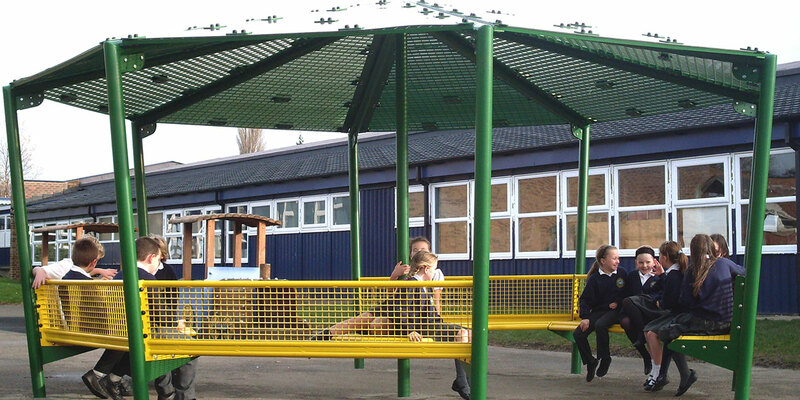 Shelters offer affordable protection from the elements not only for outdoor learning but also for parents collecting their children from school too. Most playground shelters include seating but this is optional.